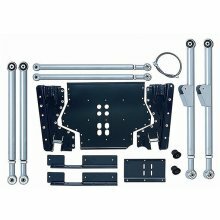 Designed for those who already have a Rubicon Express short arm suspension system, the Rubicon long arm upgrade system will allow for an easy upgrade to a our Long arm suspension. Our Extreme-Duty™ long arm suspension system will provide noticeable improvements in your TJs on road handling, returning an almost stock like ride. Off road you will see unmatched performance on the most extreme trails. 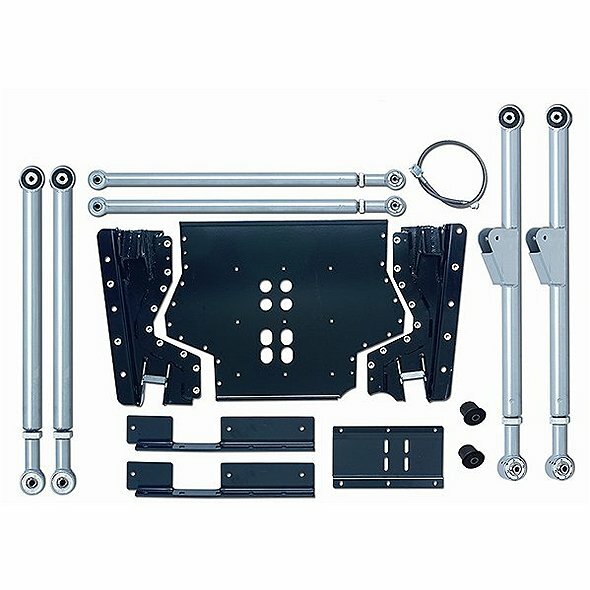 This package includes all the parts required to upgrade your existing short arm kit to the increased levels of suspension performance and comfort available with our long arm suspension system. Lift height depends on the system you are upgrading. Note: Exhaust modifications are required. Note: The installation of a slip yoke eliminator (SYE) and CV driveshaft on the stock NP231 transfer case is required. The Rubicon NP241 requires a CV yoke instead of an SYE.